As early as 1937, Škoda’s workshops began work on a new medium tank. This was an upgraded version of the successful LT vz. 35 light tank. This led to the assembly of two prototypes, designated S-II-c. But their construction dragged on until the Czech Republic was annexed by Nazi Germany, and the factory was taken over. As designed, the S-II-c weighed 16.5 tons, still light by medium tank standards, and equipped with a 47 mm (1.85 in) Škoda A9 vz. 38 gun, two machine guns (one coaxial with the gun, one in the hull). 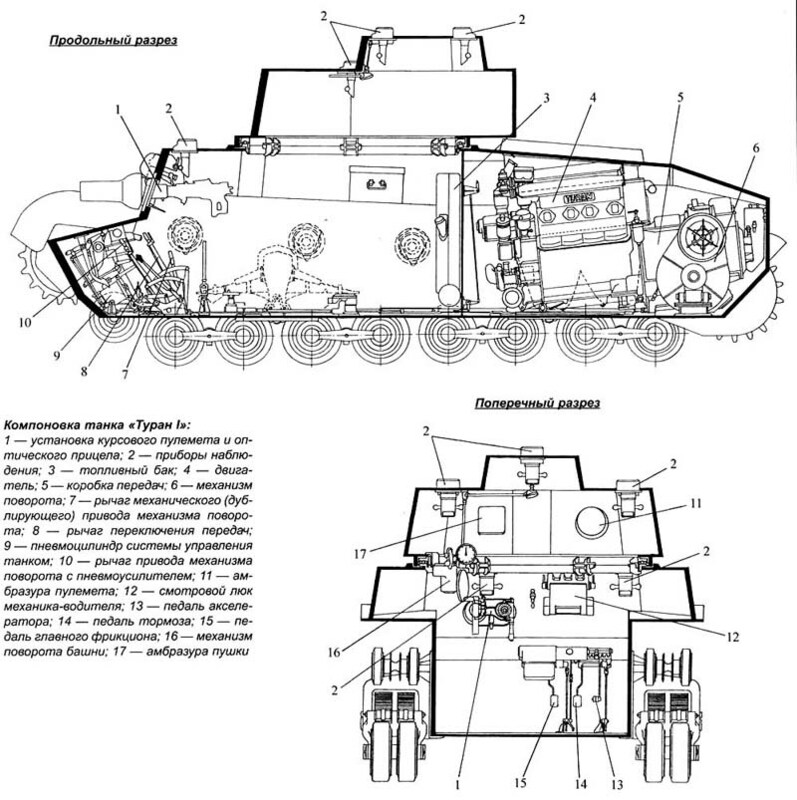 The armor was improved to 30 mm (1.18 in), and the engine was upgraded to 13.8 liters, giving 250 hp (183.87 kW), providing a max speed in excess of 50 km/h (31 mph). After the German occupation and Škoda being controlled by the Waffenamt, both prototypes were redesignated T-21 and work was resumed. In turn, a new prototype, designated T-22, was given to Hungary in 1941. Hungarian engineers then devised a whole range of modifications. The T-22 was completely overhauled, starting with the fitting of a new gun, of lesser caliber, but much higher velocity and faster reloading, the 40 mm (1.57 in) Škoda A17, which was also the main Hungarian anti-tank gun. Thus, ammunition supply was not a problem. More so, the armor was revised and new plates were bolted-on, giving a total thickness of 50 mm (1.97 in) instead of 30 mm (1.18 in), equivalent to the new upgraded versions of the Panzer III and IV. The weight rose to 18 tons. The design was largely based on the previous LT vz. 35, and the suspension was similar, with two sets of bogies on each side, each with four paired roadwheels, sprung by leaf springs. There was also a single set of tender wheels at the front. The drive sprockets were also at the front, idlers at the rear. However, the upper part of the hull was completely rebuilt, with the rear engine compartment being roomier and better ventilated. There was also a brand new turret, large enough for three men, but lower than the LT vz. 35 turret. The entire hull was bolted and slightly longer. The tracks were enlarged and supported by five return rollers. The Turán I was armed with the standard Hungarian anti-tank and anti-aircraft gun, which used Bofors ammunition, supplied by Sweden and already available in large stocks. With the added armor, the maximum speed was reduced to 47 km/h (29.2 mph). However, this armor was not sloped and presented near-flat surfaces to incoming rounds. Production started at the end of 1941 and ended in 1943, after 285 had been built. The factories involved were Weiss Manfréd (70), Magyar Waggongyár (70), Mávag (50) and Ganz from Budapest (45). By 1943, many Turán Is received spaced side skirts, similar to the German Schürzen system. The standard 40 mm (1.57 in) gun was completely inefficient against the Russian T-34 and KV-1. Hungarian designers attempted to mount a 75 mm (2.95 in) M41 short barreled gun, derived from the Bohler M18 field gun, on a prototype, in order to perform various tests on flat and sloped armors. The turret was enlarged to house the massive breech loading system and a special armored recoil piston was adapted to the gun. This made the turret interior cramped and crowded. New vents were designed to extract the massive fumes that followed the blast. 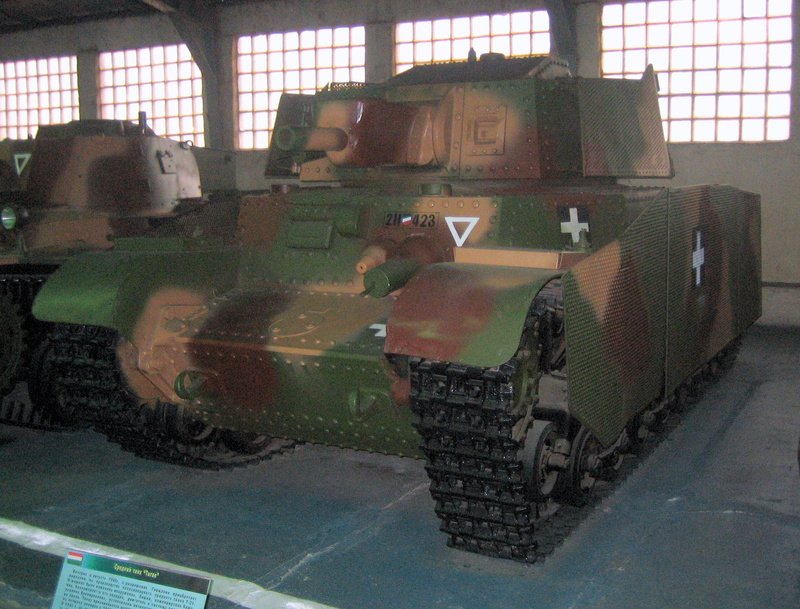 The 41M Turán II first appeared in May 1943, was produced to an extent of 139 between 1943 and 1944, ending with the Soviet occupation of Hungary. The Turan III was the last, upgraded version, equipped with a derivative of the German 75 mm (2.95 in) KwK 40 L43 gun used on the Panzer IV Ausf. J, and a revised turret which integrated large side covers around the commander cupola. It was designed to receive side skirts from the start, which were also later mounted on Turán’s I/II. A single prototype was built in 1944, but the development was stopped as Panzer IVs were now supplied in large numbers. Another vehicle using this gun was an attempt to imitate the success of the German StuG, by using the chassis for a SPG. Two were built using the same modified hull. The Zrinyi I, a tank hunter fitted with a local version of the KwK 40 L43, remained a prototype, since the Jagdpanzer 38(t) and other German tank hunters were available in sufficient numbers. The Zrinyi II was equipped with a short barrel 105 mm (4.13 in) MAVAG 40/43M L20.5 gun and improved protection (75 mm/2.95 in sloped glacis). 60 were built between 1943-44. All the Turán I/IIs built were used by the 1st and 2nd Hungarian Armored Divisions, but also the 1st Cavalry Division. They saw their first operational commitment early on in 1944, in Galicia, were they were completely outclassed by Russian T-34s and IS-1/2s. They failed to achieve their objectives and were butchered by the dozen. The 2nd Armored Division lost, in this counter-offensive, three quarters of its strength in a matter of hours. They also fought at Debrecen with the same results. The remnants tried to stop the Soviet advance towards Budapest or were simply abandoned on the spot. 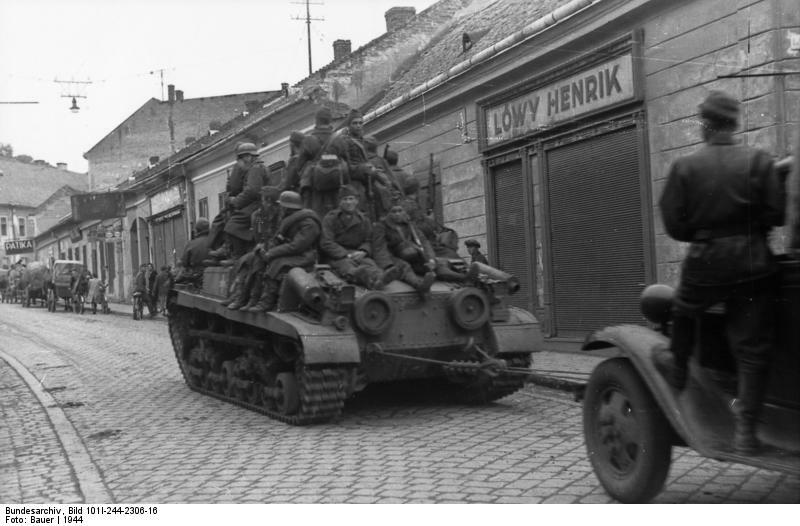 When the campaign was over in February 1945, the Soviets managed to capture many Hungarian tanks. One is now displayed at the Kubinka museum. A Turán I from the 1st Armored division, in basic sand livery, late 1942. A Turán I from the 3rd Tank Regiment, 2nd Battalion, 2nd Armored Division, in 1943. Notice that the cross had been smeared with mud, like all other markings except the large national cross painted on the engine deck, intended for identification by friendly aircraft. A late 1944 Turán I with spaced armor, 2nd Armored Division, battle of Debrecen, August 1944. 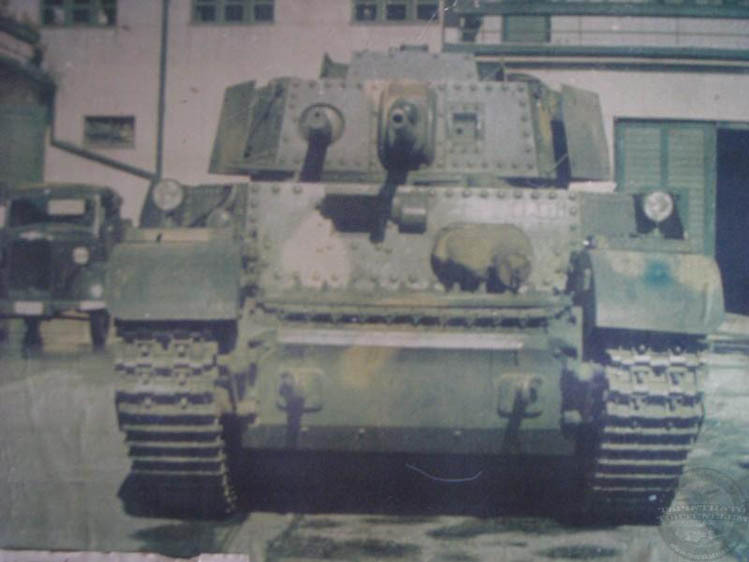 A camouflaged Turán II, 2nd Armored Division, Galicia campaign, 1944. 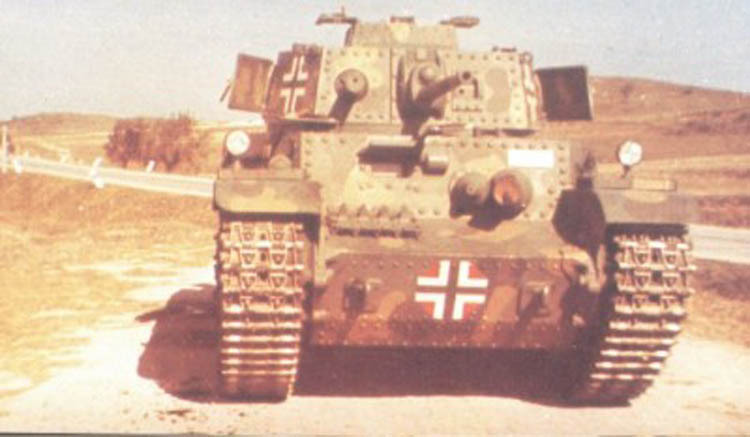 A Turán II from the 1st Armored Division in 1944. 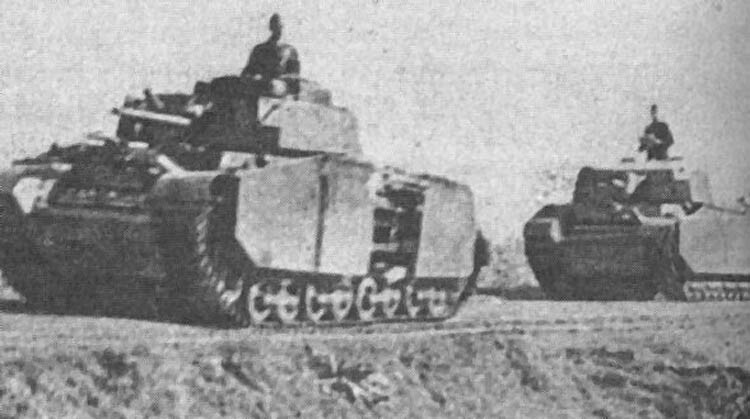 The Turán III prototype on trials, 1943. The spaced armor designed for it was used with regular Turáns. On the 5th picture “Turán I with spaced armor only on the turret” it’s actually the openes turret side hatches, not spaced armor. I am curious about the Turan having sprockets on both front and rear, which is very unusual. This is more clearly seen in the Wikipedia photos. The sectional drawing appears to show a transmission behind the engine, with rear drive rather than front. The LT vz. 35 predecessor also had a rear drive. Is it possible the service brakes were connected to the front sprockets (possibly also assisting with steering), and the drive sprockets are in the rear? Turan was designed as the prototype of the Czech tank Škoda T-21, which has a rear drive pulleys. I agree that the sprockets at the front wheel are strange, but maybe they were used for a better guidance of the track.